There are the conventional ways people find employment opportunities, such as through networking and online job postings, and there are the more unorthodox ways. It is these latter, more unpredictable methods of finding work that may give frustrated job seekers hope. 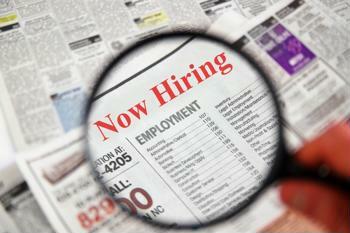 CBS MoneyWatch recently highlighted a few of the unconventional ways people have found jobs. For instance, Simon Tam of Portland, Ore., a freelance digital and social media marketing specialist did not always work in this field. He was once the manager and bassist in a band called The Slants. After some time on the road, building the group's brand while entertaining crowds, Tam caught the attention of an Oregon college that ended up hiring him. "I showed how I took a brand new brand – my group – to international levels of attention within a few months and no marketing budget to speak of, just by finding the right message and audience," Tam told the news source. Other individuals who spoke to the news outlet found out about job opportunities by attending someone else's school reunion and bartending. According to Monster.com, blogging, tweeting and even renting a billboard could all yield positive employment outcomes. However, job seekers may want to try more conventional strategies, such as taking an aptitude test, before they consider putting their face on a billboard.